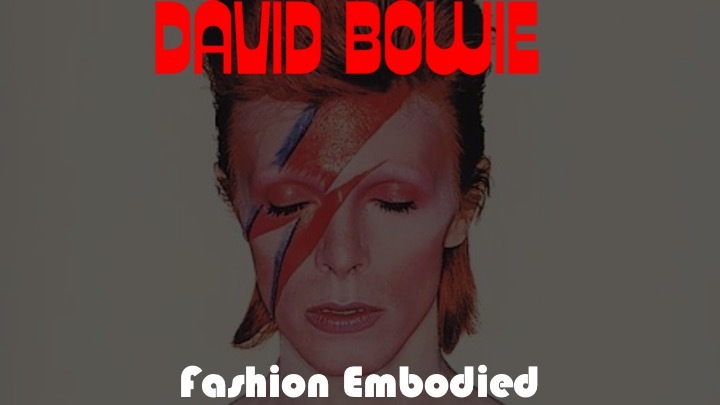 David Bowie: Fashion Embodied (2018) presentation, Art History Happy Hour Brooklyn Museum of Art. Held in conjunction with the exhibition David Bowie Is, this presentation placed Bowie’s fashion into a historical context of men’s fashion. Part of a larger study on gendered fashion in menswear. 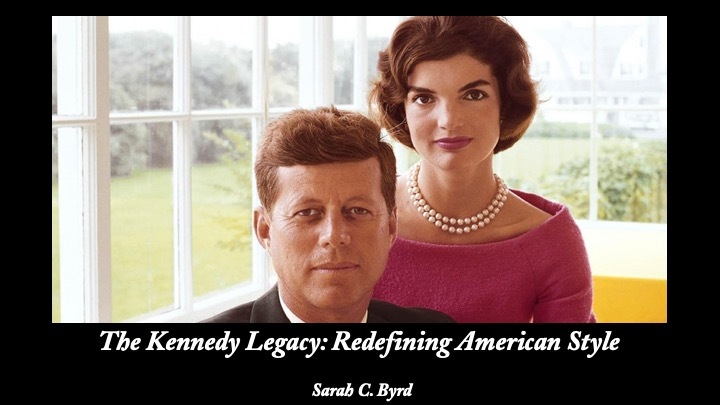 The Kennedy Legacy: Redefining American Style (2017) Irish-American Heritage Museum, Albany NY. As fashion editor Diana Vreeland said, “Before the Kennedys, good taste was never the point of modern America.” This lecture explored the Kennedys’ legacy, including their renovation of the White House, how they communicated political diplomacy through fashion, and the many sartorial myths that continue to surround them-such as JFK’s “hatless” inauguration. Cult Fashion: An Image of Controlled Conformity (2017) presentation, Costume Society of America annual symposium; Portland, ME. This paper analyzed the stereotypical dress of so-called "cult" members in America, its historical connections, and depiction in popular media. Part of an ongoing project examining the dress within American communes, utopian societies, and spiritual communities. The Myth of Luxury: Fashion's Aspirational Marketing (2017) presentation, Nouveau Reach Past, Present, and Future of Luxury; Ryerson University Canada. An exploration of the ways that contemporary fashion corporations create luxury for a diverse clientele through an examination of the material object and related marketing. This paper emphasized the importance of the consumer's experiences and knowledge of quality to better understand the resultant products sold by luxury brands today. Society for the Advancement of Social Studies (2014-16) topics include the history of swimwear, fashion magazines, and femme fatales. time & place (2010 Brooklyn, NY) Much like an old photograph, a vintage garment preserves the life and identity of a person. 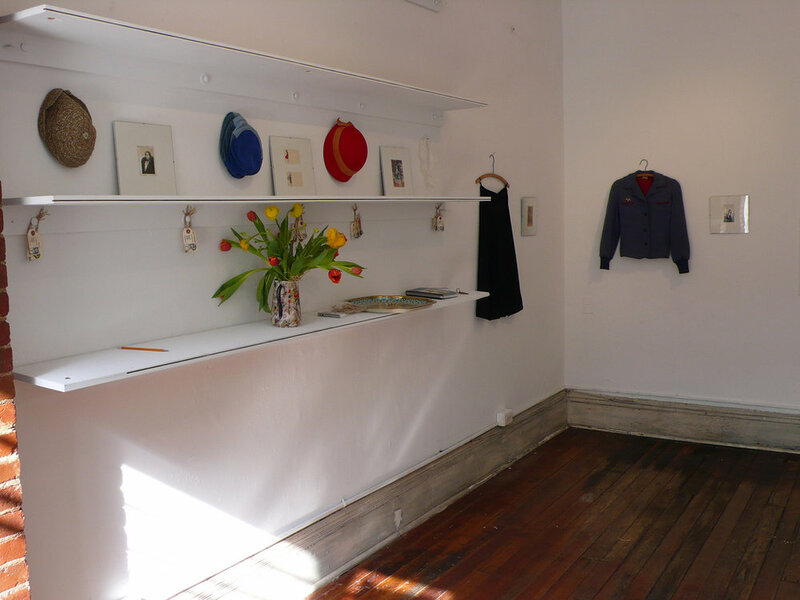 This installation explored the power photography and clothing have to evoke emotions and conjure memories. 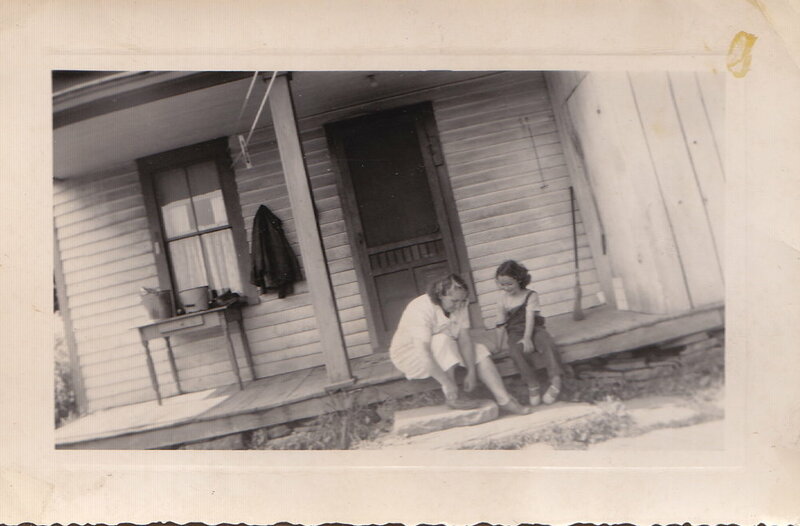 Photographs and garments from a variety of time periods were on view to relate how we connect places, people, and the past. Scandal Sandals & Lady Slippers: A History of Delman Shoes (2010, The Museum at FIT) The first exhibition to focus exclusively on the company's style, advertising, and craftsmanship using materials from MFIT's permanent collection and the Delman archive. Specializing in classes that focus on developing fashion exhibitions, identifying key traits of design, and relating the history of fashion to scholars and designers. She has overseen the development of graduate student exhibitions at the Museum at FIT since 2013. For an overview, please click here. A penny for my thoughts: highlights from media commentary and interviews. Projects range from supporting design and photography projects to publications on topics related to fashion and dress. Strong interest in American cults, communes, and spiritual communities as well as early 20th-century romance novels and related films. Click here for some recent examples.